1. They’re affectionate: After a long day, there’s nowhere they’d rather be than cuddling up next to their dog on the sofa or on the receiving end of some slobbery dog kisses. However, every good dog owner will happily scoot over and make some room for you to squeeze in between. 2. They can handle a mess: Dogs are a loving creature, adorable, but they’re messy as hell too. Dog owners have dealt with it all: poop and throw up in the house, muddy paw prints on the floors and fur everywhere and all over. Rather than freaking out, they take a deep breath, clean it up and move on ― so they won’t lose their s**t when it comes to gross human behavior like a clogged toilet. 3. They’re not afraid of commitment: Getting a dog means making a commitment to take care of that animal for the next decade or more. Dog owners are willing to sacrifice their freedom, time, money, and energy to give their dog a long and happy life. They probably have what it takes to make a long-term relationship work, too. 4. 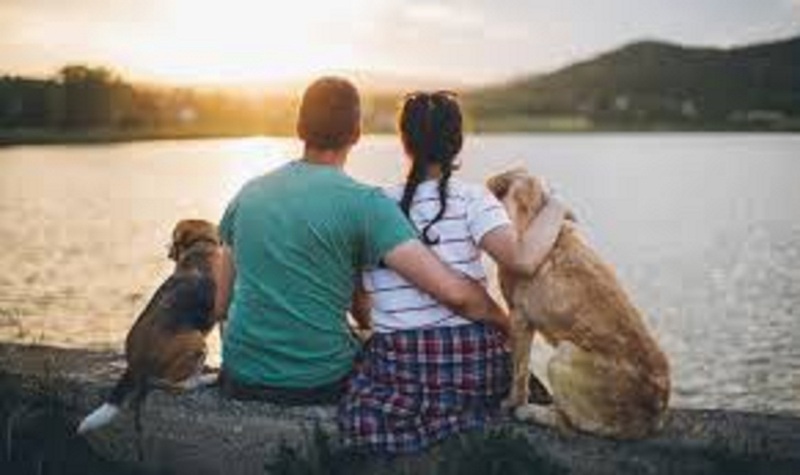 They stay active: Puppies require to be walked and owners make a morning or evening leisurely walk with their furry friend’s part of their daily schedule. On the weekends, they might visit the dog park; go for a hiking trail or the beach for some fresh air and a game of fetch. If you date a dog owner, those healthy habits will probably rub off on you as well. 5. They’re excellent caretakers: Dog owners are used to caring for someone other than themselves. Daily, they wake up, take them out to pee, feed the dog, take them for a walk, and again, and sometime before leaving for work, they will take a sick dog to the vet, dutifully checked for fleas and ticks, and given many baths. Caring is simply what they do best. 6. They’re playful: Dog owners don’t take themselves too seriously. They play with silly dog toys, make fun little games for their dog, or run around the dog park throwing a tennis ball. That sense of playfulness and lightness will probably show up in their romantic relationships as well. 7. They’re patient: The puppy stage can truly test a person’s patience. Dog owners are familiar to being woken up by a dog barking in the middle of the night, they’ve returned home to chewed-up furniture and owners had once or twice say goodbye to at least a pair of their favorite shoes. Oh, and then there’s the potty-training. The fact is, caring for a dog isn’t easy ― it’s time-consuming and sometimes, annoying, but a dog owner takes it all in stride. When you really love someone ― be it a dog, a romantic partner, or sometimes a kid ― it’s all worth it.